I've just completed a two-week stay in Italy, where my lifestyle resembled that of the Euros — and tourists — around me. I'd have a continental breakfast with espresso, shower and then sing Michael McDonald songs. Right after the shower, I'd involuntarily sing, "Takin' it to the Streets" because it was time for Dina and me to take it to the streets and explore. Our two-week path went to Rome, Sierra, Florence, Cinque Terre, Milan, Venice, Verona and back to Rome. I quickly realized that Michael McDonald songs were relevant to nearly every Italian city. Venice = "What a Fool Believes" The city is so winding and confusing with its hidden paths and layout. As I thought I figured out the paths, I'd be cocksure we were going the right direction. Oh, no, not all the time. What a fool believes. He sees. No wise man has the power. To reason away. Florence = "Sweet Freedom" The home of the Renaissance displays the freedom artists took in painting and sculpture. The song came out when I was in the Uffizi Gallery. Shine sweet freedom. Shine your light on me. You are the magic. You're right where you want to be. Rome = "I Keep Forgettin'" I found Rome to be a more walkable city than expected. Dina and I "stumbled" across a few major sites that I had forgotten were in our path. The Pantheon was an obvious example of that. Plus, it's easy to forget the cultural significance of so much in Rome. I Keep Forgettin'. Things will never be the same again. All Italian Cities = "Takin' it to the Streets"
Through intense Internet research, I have learned that Michael McDonald was absolutely huge to the Doobie Brothers. Yes, the band had "Listen to the Music" and "China Grove" before him, but he took the band in a much different direction and is the most famous member of the group by far. 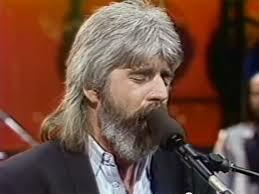 Italy is to Western culture as Michael McDonald is to the Doobie Brothers. The metaphor should be obvious to all who visit Italy. Of course, the comparison isn't perfect. Throughout our stay in Verona and the opera "Tosca," I was involuntarily humming "My Verona."